Qaza Prayers Tracking For Muslims - Something New Everyday! This article is for Muslims. You may want to move on to another article on DailyTenMinutes. Appreciate your patience and cooperation. 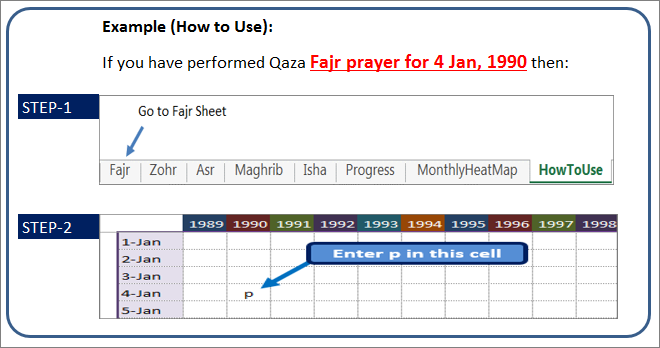 A prayer tracker in Excel File has been created for Muslim brothers and sisters which you may want to use for tracking your missed prayers. Requesting you to spread it amongst family, friends and colleagues and earn amazing Sadqa e Jaria inshaAllah. HOW TO GET: Please send an email at mjunaidtahir@gmail.com and the excel file will be sent to you insha-Allah.